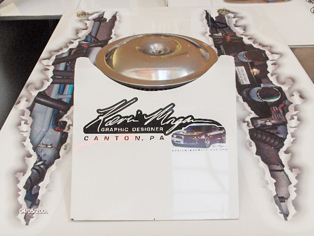 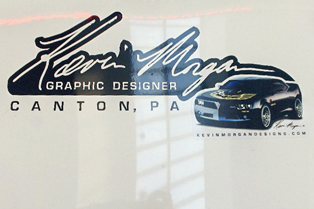 Kevin Morgan Designs - IMCA Car! 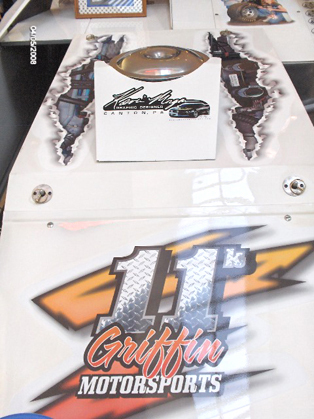 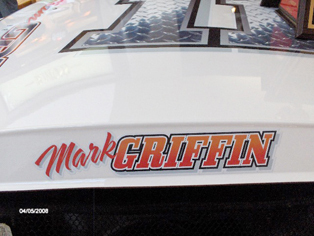 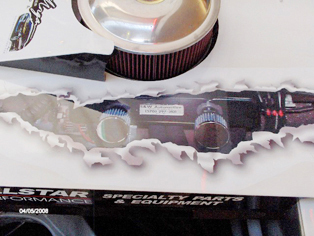 Here are some pictures of Mark Griffin's IMCA Race Car that I designed and installed the graphics on. 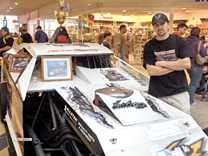 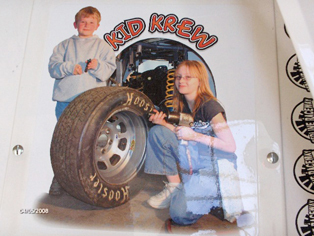 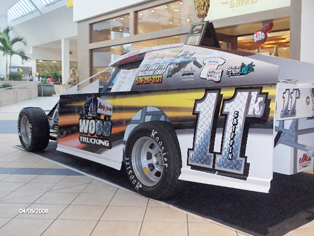 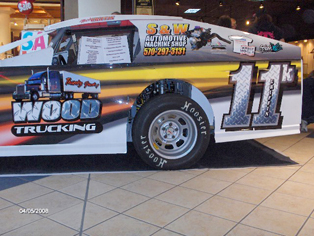 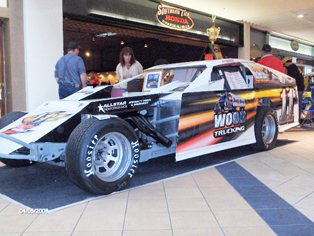 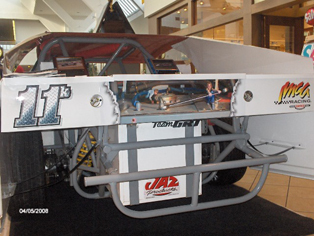 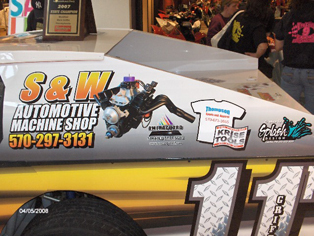 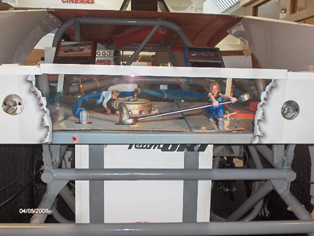 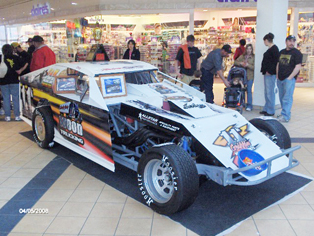 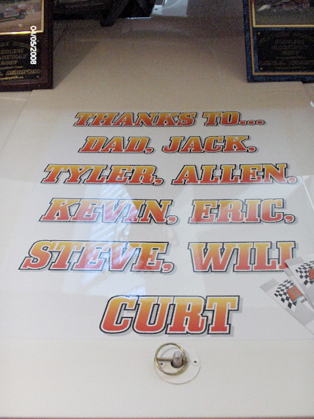 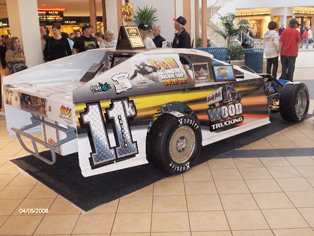 The car is featured in the Arnot Mall in Horseheads, NY in a show sponsored by Woodhull and Redline Raceways.